Experienced Hands: There are other companies out there that will do great jobs. However, they may lack the equipment or experience needed to handle rough terrain as they require a special type of training and experience. This is not a time when you want an unproven company to handle the work, you need to be sure that it will get done and safely. Safety First: You cannot put a price on safety. You have to be positive that everything is getting done right and the only way to do that is to make sure safety is always the top priority. No job has ever been completed early because of rushing. Rushing only creates more delays and mistakes which is why we do not rush and still manage to get done on time. More Than Just Crane Rental: Rarely do we work with a builder who just needs one thing. There is always a need for storage, equipment repair, extra rigging or something else. If we can accommodate you and help make things easier on you then we are more than happy to help. 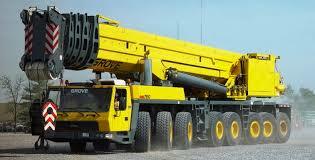 Rent-A-Crane specializes in rough terrain crane repair. Regardless of where in Virginia you need assistance, we will accommodate your needs and make sure that the project is done on time and safely. We have handled some of the most challenging projects in the industry and have delivered each and every time. Feel free to contact us today to learn more.